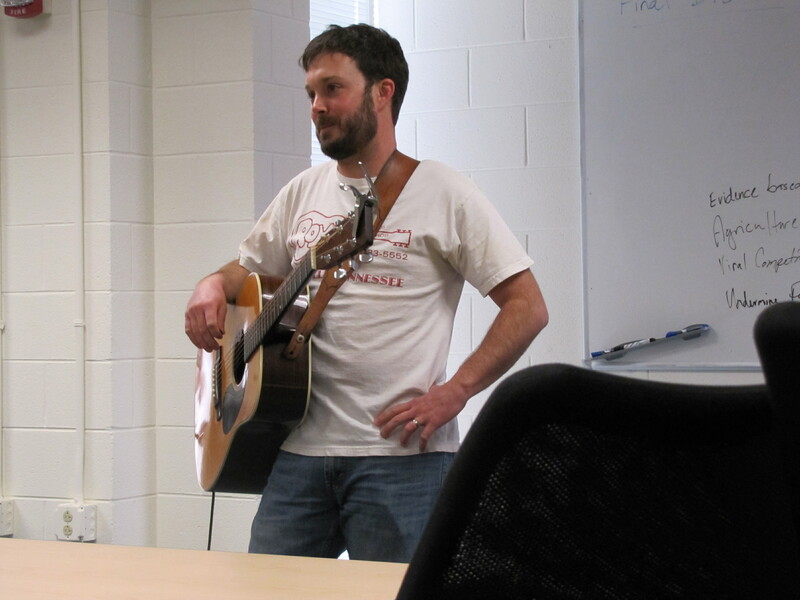 NIMBioS scientists and staff recently enjoyed a lunchtime performance of January Songwriter-in-Residence Jay Clark. Clark performed four songs from his repertoire and unveiled one of his songs from his residency, titled “Sexual Selection.” Clark’s residency finished at the beginning of February. Songs written during his time at NIMBioS will be available on our website soon. This entry was posted in songwriter and tagged songwriter. Bookmark the permalink. I loved his “Sexual Selection” song, and really, REALLY hopes he lets me have a copy! !